Gary Barlow has spoken at length for the first time about the inspiration behind his hit single "Let me Go". 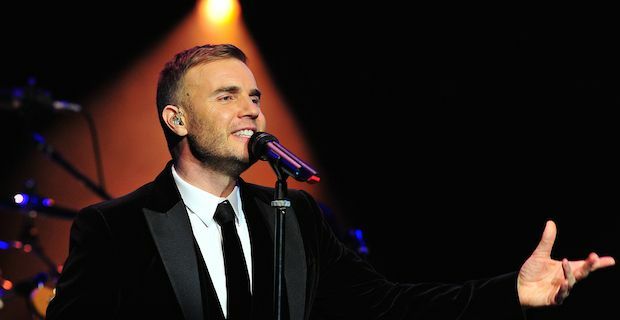 James Corden interviewed Barlow for a BBC1 documentary titled Corden Met Barlow where the singer spoke candidly about his battles with depression. Barlow and his wife Dawn were expecting a baby in 2012 but the baby girl, named Poppy, was delivered stillborn in a very traumatic event for the couple. Barlow had also recently suffered another loss when his father Colin passed away in late 2009. Of the song, Barlow said it is a celebration of Poppy. He explained "It keeps a life and a flame in the whole thing. It's not my voice, it's someone else's. I don't like there to be things that are unsaid really. And from that thing happening to my dad's passing, there's a lot of them in this record with me." The interview also brought up some details of the depression Barlow experienced after his second solo album bombed. He gained lots of weight and at his worst he weighed an incredible 17 stone. Barlow was applauded by stars Pixie Lott and Niall Horan from One Direction for discussing his battles with depression in a way that helps raise awareness in the UK. Lott tweeted "What an amazing documentary @GaryBarlow" while Horan wrote "Congrats to @Fulwell73 @benwinston @GaryBarlow @jkcorden on a fantastic documentary! Really enjoyed it ! #whencordenmetbarlow".